In yet another case study on why student loans in America are ridiculously complex, I’ve received a bunch of questions about going for the Public Service Loan Forgiveness (PSLF) program regarding PSLF tax implications for married couples living in a community property state. In case you don’t know what that is, certain states in the USA use something called community property law to regulate marriage income taxes and assets. These states are California, Texas, Arizona, New Mexico, Louisiana, Nevada, Idaho, Washington, and Wisconsin. If you live in one of those states and are thinking about going for student loan forgiveness, this applies to you. The main issue with community property states and loan forgiveness is how to minimize your payments. When married federal student loan borrowers have to split your income equally on your tax returns, this creates all kinds of questions. I’ll try to address a bunch of them for you here. What Does Living in a Community Property State Mean for Student Loans? If you look at a geographic map of these states, they’re mostly all in the Western or Southwestern US except for Wisconsin. To drop a knowledge bomb, those states used to be part of Mexico before the Mexican American war around 1848. When those states transferred to US ownership by force, much of the Spanish influenced civil law from Mexico stayed in place. While each state has different rules, generally you must split income on your tax return equally between spouses. For example, if two spouses make $60,000 and $40,000, you would make an adjustment on the tax return and both would show as earning $50,000. That sounds like not that big of a deal, but what if you pay your student loans based on your income as most people do? Then it gets messy. If you filed separately in a community property state to avoid including your spouse’s income, it might work out great if you’re the higher earning spouse because you could get a lower payment. However, if you’re a lower-earning spouse, you could be left with a higher payment. Let’s look at a situation where a Physician (Sarah) is married to a teacher (Dwayne) with no student loans. We’ll assume they live in Florida, which is not a community property state. The physician owes $400,000 of student loans at a 7% interest rate. She has five years of credit towards the PSLF program. If Sarah the physician files jointly with her teacher spouse Dwayne, who earns $50,000 a year, then she can use PAYE or REPAYE filing jointly. Both will result in the same monthly payment of $2,294 a month. However, in non-community property states, which is most of the country, you’d pay more in taxes by filing separately if you have a big income difference. Theses calculations are my own based on the new tax rates from the Tax Cuts and Jobs Act. The new tax rates are a little less punishing to filing separately than they used to be. In this case, Sarah and Dwayne would pay $8,579 for filing taxes separately. This happens because Sarah gets put into the 35% tax bracket while filing separately but would only be in the 24% bracket if she filed jointly. That higher bracket creates an additional tax liability. This difference monthly works out to about $715 a month. The tax penalty would, therefore, be higher than the $362 a month they’d gain by filing separately. What if Dwayne was the one with $400,000 of student loans? Then the monthly payment on PAYE would be $265 a month and the savings would be close to $2,000 a month in monthly payments. Filing separately would cost them but the net savings would be about $1,300 a month. Filing separately if you’re going for student loan forgiveness in community property states is a case by case decision. Recall that the only reason to file separately when you have student loans is to exclude your spouse’s income from your income-based repayment amount. When you’re in a community property state, your AGI is going to be split evenly for the most part. That means the cost of filing separately and filing jointly will be very similar as neither spouse will get placed into a higher tax bracket. If Sarah and Dwayne lived in Phoenix, Arizona, they’d be subject to community property rules. Hence even if they filed separately they would still be subject to an even division of income on their returns. Here’s what their taxes would look like under the different scenarios. I’d project that the difference in tax payments between filing jointly and separately would be minimal. If you file jointly, then you must include your spouse’s income. If you file separately, you can exclude your spouse’s income. For example, if they were able to file separately under PAYE, then Sarah’s payment would be $1,098 a month. Compared to the filing jointly payment under PAYE or REPAYE, that’s a difference of $14,352 annually between filing separately and jointly. Since Sarah is the higher earner and she’s going for tax free loan forgiveness, this result would be great because she’d be paying way less towards the cost of this program and would be generating a massive amount of savings over 5 years. However, if Dwayne was the one with the student debt, they’d be hit with a higher payment filing separately than they would if they lived in a non-community property state. Can You Use Paystubs or Alternate Documentation of Income to Get a Better Student Loan Payment? Effectively, you’ll have a very hard time using the number three option. The only time I’ve heard it used successfully was with a doctor who had a practice that had a lot of losses within the business that they hadn’t realized yet. Your plan should be to use your tax return or your paystubs. Since you can use either one, I’d suggest using the more advantageous one for your situation, which will almost always be the tax return since that’s defendable as an accurate representation of your income. The decision is less complicated for filing status if you both have student loans. I have yet to meet a couple who both have huge student loans from a professional program who obtain a big benefit from filing taxes separately. The government takes your joint income into account if you file jointly and applies the payment proportionately based on your debt amount. If you have a big balance, then the government will automatically split the payment for you. 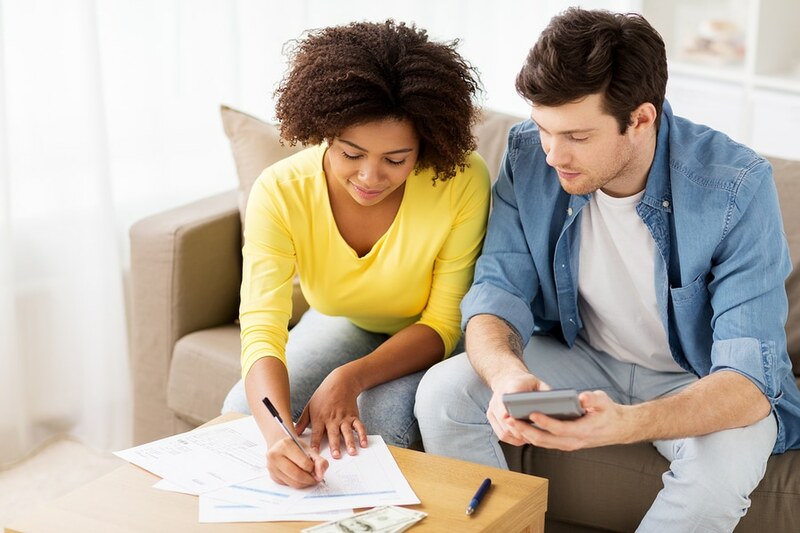 Since your payment would effectively be pretty much the same if you both have student loans regardless of filing status, I’d suggest that you file jointly and keep your life simple if you both have federal student loans. Keep in mind that private student loans as far as the federal government is concerned is basically the same thing as having no student loans in terms of income-based repayment. If you’re going for PSLF and you’re the only one in your marriage with student loans, then you could benefit by filing separately and choosing the Pay As You Earn (PAYE) option. This would allow your payments to be lower, resulting in a higher forgiven balance. Many borrowers who took out loans before October 2007 are not eligible for PAYE and only can choose between IBR and REPAYE. IBR requires 15% of your income and allows filing separately while REPAYE requires 10% and does not allow you to file separately. That means you want to run the numbers and figure out if it makes sense to do IBR based on your higher payment percentage and file separately or if REPAYE makes more sense so you can file jointly. I must caution there are other things you miss out on when you file separately that are outside the scope of this blog post. Its important to consult your CPA about the cost of filing under each scenario. For clients that hire us to do a student loan consult, I’d love to get the cost of filing separately vs filing jointly from your CPA. This is very easy for them to do generally with a simple toggle button between joint and separate and shouldn’t require a bunch of work. If you ask about what filing status you should choose based on your student loan balance, he or she is going to look at you like you have eight eyes in most cases. Student loans are not taught in CPA curriculum or even in the CFP curriculum for that matter. If your student loans perplex you, this site and our consult service are the right venue to ask the questions about what tax filing status you would consider based on your loan balance. We’re not CPAs, but we’ll give you all the questions you need to ask the CPA to determine the ultimate cost of all the various options. Keep in mind that student loan servicers can barely explain the difference between the various income-driven repayment plans out there. They will hand out blanket statements like “Go with REPAYE!” that don’t stand up to any scrutiny. In fairness, I wouldn’t want their job in a million years. The phone reps get paid a low amount to answer questions from borrowers like you and the desire to get you off the phone if you ask them a tough question or to give you inaccurate info makes sense based on human nature. The Republicans completely overhauled the tax code in December 2017. Most taxpayers will have no idea what the impact is on them until they file in April 2019. When you file separately, you have to use the same rules for itemizing or taking the standard deduction. There also isn’t a personal exemption anymore. Basically, the tax code for W-2 employees got a lot simpler. That means filing separately in community property states might be simpler as more taxpayers will take the $24,000 marital standard deduction rather than go to the trouble of itemizing. The $10,000 limit on deducting state and local income and property taxes will throw cold ice water on many households’ efforts to itemize. 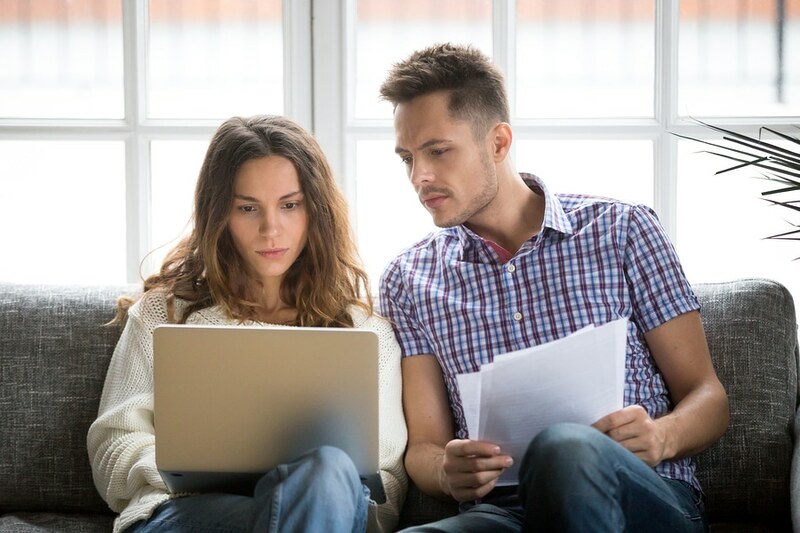 Now that you know the PSLF tax implications for married couples, you still might have some questions about your student loans. If you’re confused about your student debt, then we can help with our flat fee student loan consult. You’ll understand all your options and all the questions you should be asking, many you probably didn’t even know about. Just hit that contact button in the bottom right. If you have experience with filing separately to get a lower student loan payment, whether in a community property state or not, let us know in the comments. This is a very helpful article. I do have one additional wrench to throw in. My hubby is the one with the student loan…currently… I make slightly more money than he does, but I also officiate volleyball and have a lot of 1099’s that I will have to own money for. I am currently a student and will max out for the 8863 tax return for student tuition. That money would help cut down on what I would have to pay in. If my hubby and I file married joint, his payment will increase about $200, but if we file married separate, I cant do the 8863 for tuition. What should we do?